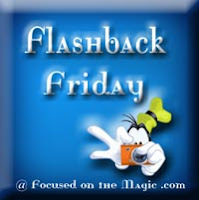 It's time for Flashback Friday! Time for me to focus on my favorite Disney memories from the past. This week I'm sharing more old photos and ephemera from the early 90's in Walt Disney World. 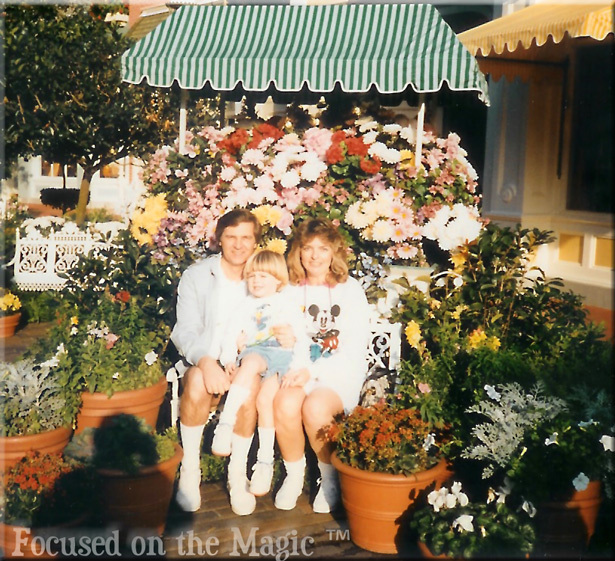 The flower cart bench was a favorite Kodak picture spot for us in The Magic Kingdom. Tucked away just off Main Street, it was the perfect spot to gather the family for our annual picture. This was long before PhotoPass so you would have to do the "camera swap" with guests. You can see him in the shadow. I was using Kodachrome Gold 100 film one of the proud sponsors in Walt Disney World at the time. A postcard piece of ephemera from my then favorite hotel. 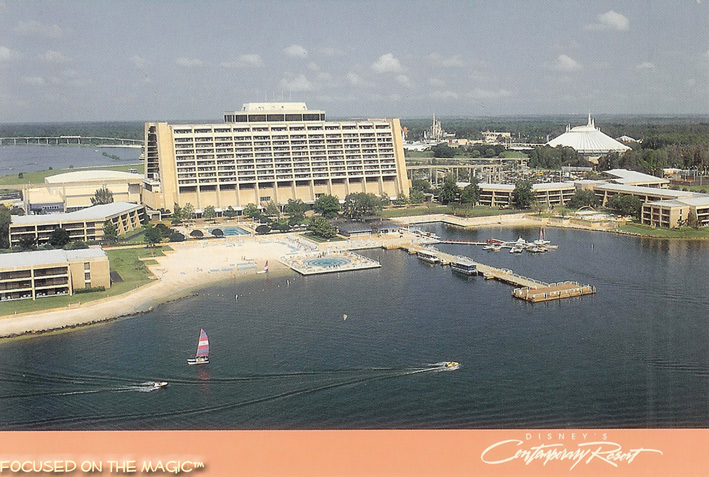 I remember choosing this postcard because I could see our room in it. Would you like to link up your flashback? I love how you remember things like that. Amazing how you could remember that your room was that important. I also love seeing the logo is still the same.